RuMe provides exceptional quality and functionality with all of their bags and totes. This is a Colorado-based company and many of their products made right here in the United States! We work with Corkcicle to bring you our Z-Cup and Z-Canteen, the perfect zero waste hydration kit. 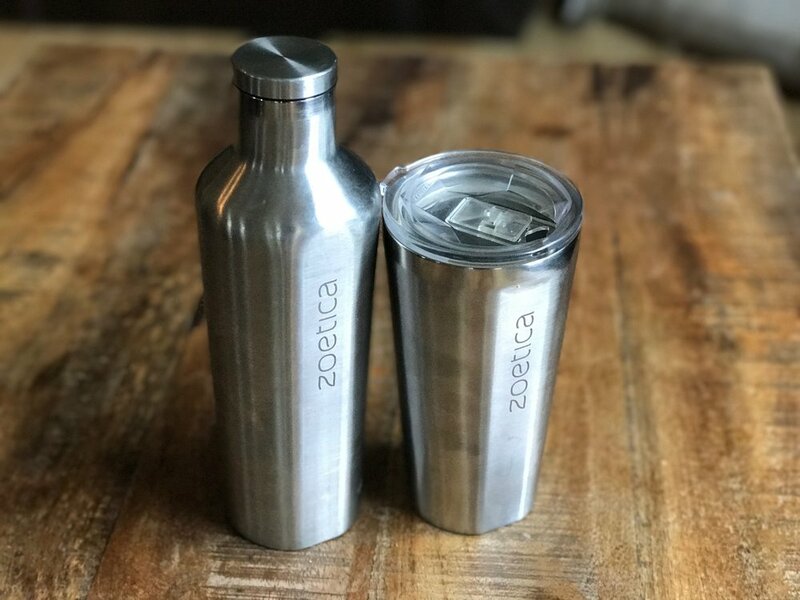 The amazing duo of beverage tumbler and water canteen means no more plastic water bottles and no more throw away coffee cups, stainless steel is a very sustainable product with a long lifespan and the quality of these are top notch. There are hundreds of coffee cup and water bottle options in the world, but we think these are the absolute best! We tested 30 different types of containers from collapsible silicon to multi-tiered ones. Sometimes our meals exploded in the car when containers collapsed unexpectedly. Sometimes they opened up and spilled in our satchels. Finding the perfect tiffin at UKonserve was one of our hardest jobs.